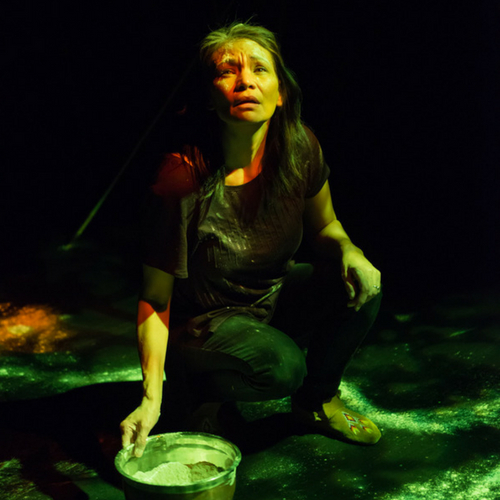 Welcome to Nightwood Theatre’s 39th season. 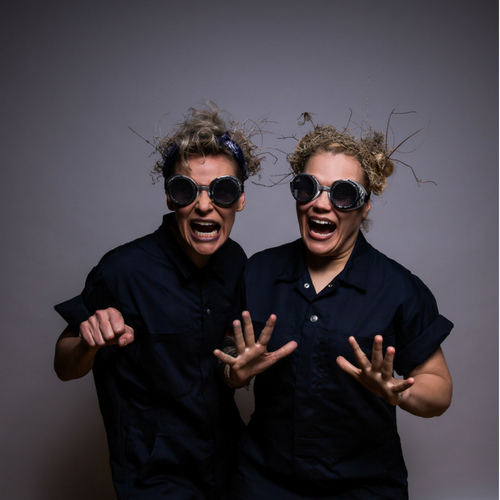 As Canada’s flagship feminist theatre, Nightwood has spent nearly four decades igniting a vital conversation about women’s lived experiences, providing our audiences with provocative, entertaining and socially relevant theatre. As storytellers we are driven by an inherent desire to change the world: To create a dialogue about pertinent issues, to build bridges between our differences, to confront injustices, and collectively celebrate our humanity; in short, to heal the world and bring joy, laughter, release and recognition. It seems like a tall order, naïve one might say, or idealistic. But the fact of the matter is we crave this communal catharsis; these gatherings in the dark, huddled together, grappling with our world, are not only necessary but life-affirming. The stories we share this season represent vast and intricate worlds conceived and created by this bevy of powerful women. Like a prism they reflect women’s lived experiences from a multitude of perspectives: and each selection bounces and reflects light towards the others revealing where our humanity intersects. From the musings of an elder-clown seeking to heal the world, to the unspoken isolation of a new mother, our stories give voice. 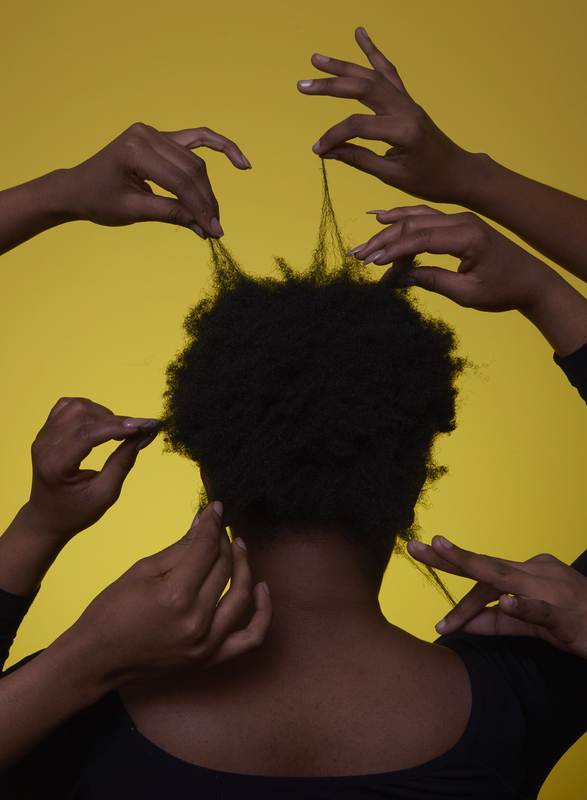 Tackling western notions of beauty and the dreams of African girls, the trappings of the public persona, the invisibility of aging women, or the failure of justice for a young woman’s family, this is the rising collective voice that asks to be heard. With wit and wisdom these creators carve out a space to confront and call to action a response, a resolution, a communal catharsis. We invite you to join us this season, as we continue to define the conversation, and yes, in a way, change the world. 2018-19 Season Passes are now on sale! or call 416-944-1740 x 4 to book over the phone. Four Show Season Pass Now On Sale! Please call Angie at (416) 944-1740 ext. 4 or email angie [at] nightwoodtheatre.net if you have any questions regarding our season pass subscription. 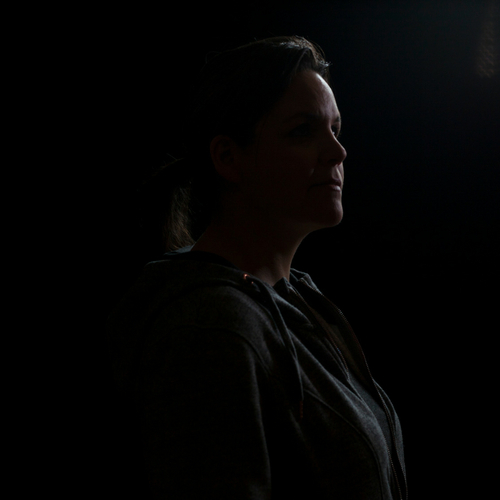 “There was no justice, there was just a legal outcome.” In the wake of a young woman’s disclosure of childhood sexual assault, a family presses charges. But as they put the case together, they must confront a new challenge. Grace is an exquisite piece of documentary theatre about the pursuit of truth and justice that unflinchingly examines our legal system — its loopholes and its failures — through the lens of a playwright searching for how to share her family’s story. Be the first to hear new work from some of the most exciting emerging female playwrights in the city. 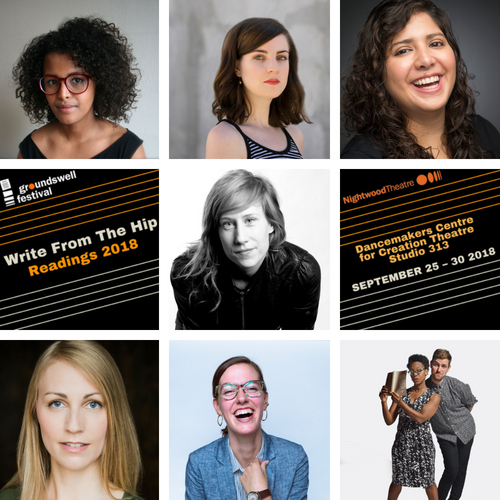 The 2017-18 Write from the Hip writers are Intisar Awisse, Monica Garrido, Meghan Greeley, Ali Joy Richardson, Chelsea Woolley, and Andrea Scott in partnership with Nick Green. Write from the Hip is a year-long script development program designed to support new writers toward the completion of a full-length play. Come hear what these talented playwrights have created. Click here for the full 2018 Groundswell Festival schedule. 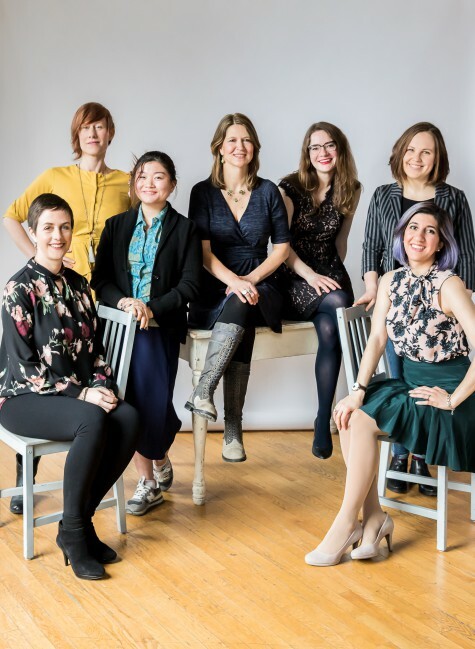 Nightwood Staff Photo: Beth Brown, Andrea Donaldson, Angie Ho, Kelly Thornton, Victoria Laberge, Sadie Epstein-Fine and Naz Afsahi. Photography by Brooke Wedlock.